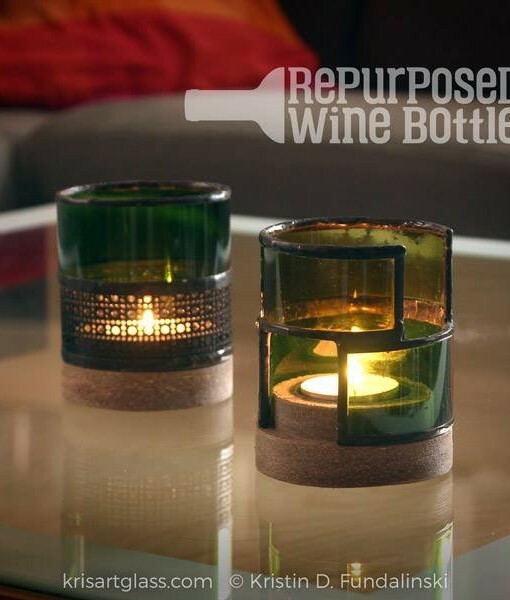 These handcrafted candle holders are made from repurposed wine bottles and composite lumber. 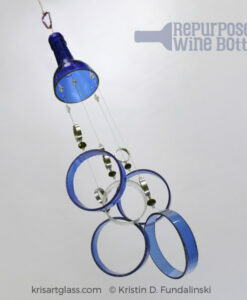 Different Color wine bottles were cut, then assembled asymmetrically to give each piece a unique look. 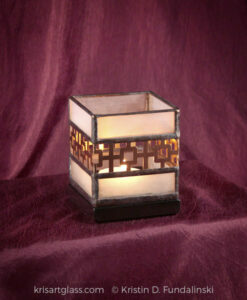 This design is reminiscent of Frank Lloyd Wright and Mission Style. 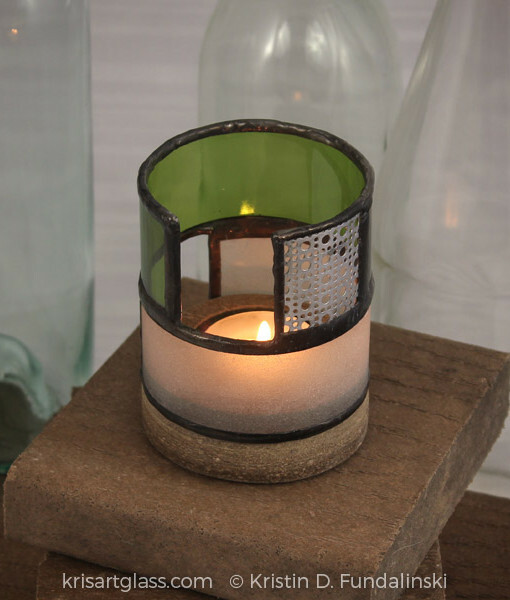 Categories: 2 Color, Glass Candle Holders, Repurposed Decor, Wine Bottle, Wine Bottle. 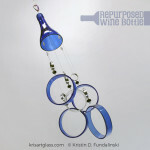 Tags: contemporary, handcrafted, handmade, repurposed, reuse, reused, upcycle, wine, wine bottle. 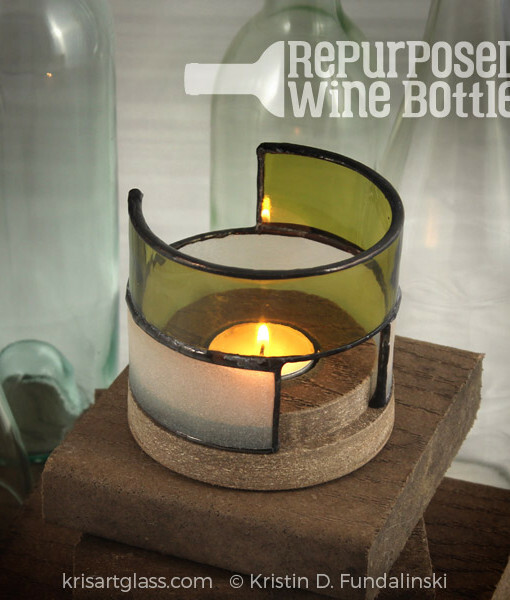 These handcrafted candle holders are made from repurposed wine bottles and composite lumber. 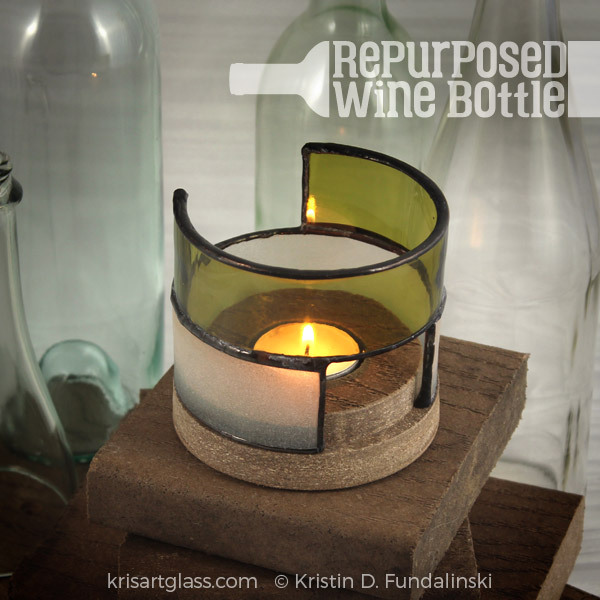 Different Color wine bottles were cut, then assembled asymmetrically to give each piece a unique look. 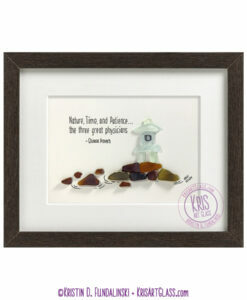 This design is reminiscent of Frank Lloyd Wright and Mission Style. 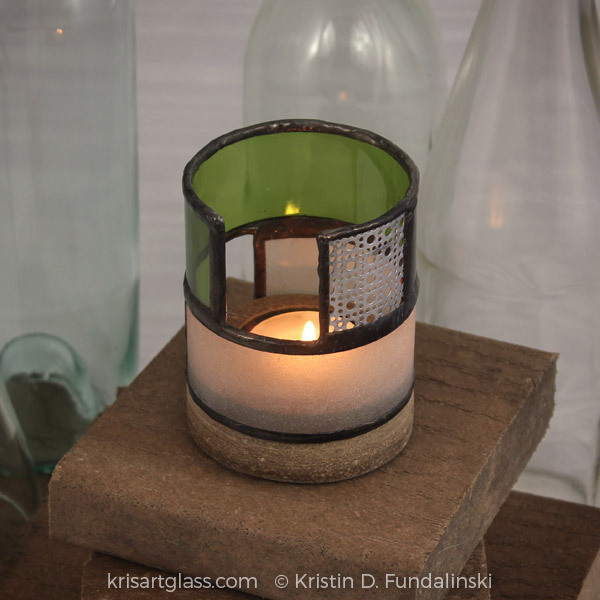 The base was cut from left-over composite lumber used during building my backyard deck. 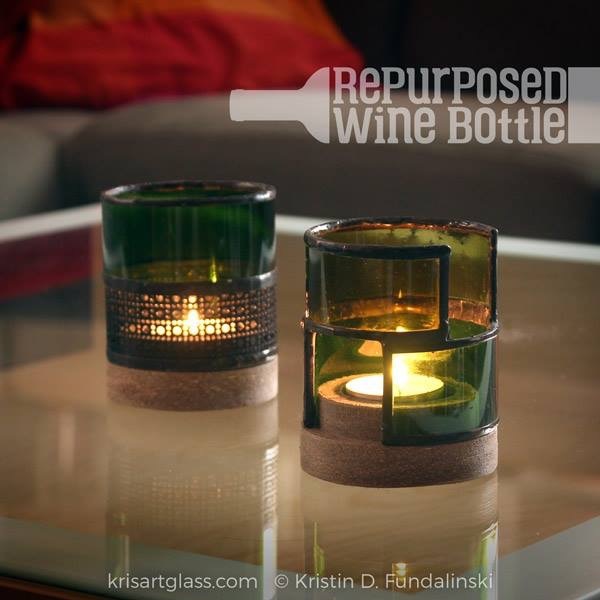 The wine bottles were donated by friends, family, and coworkers. 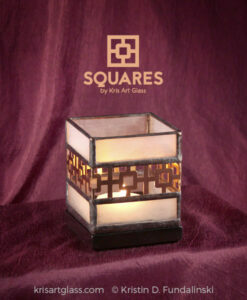 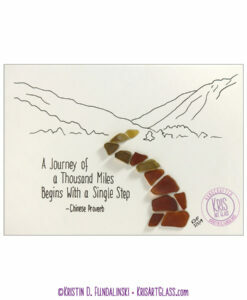 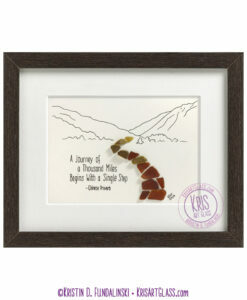 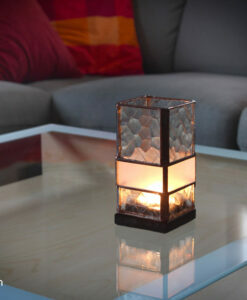 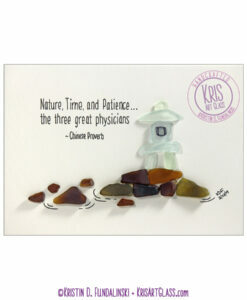 This product is handcrafted and may vary slightly from photos (size/color), depending on availability of materials. 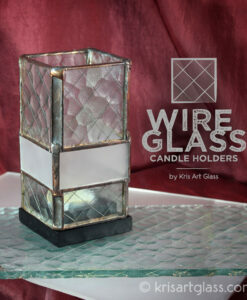 Wine glass, copper foil and solder, composite decking (Trex), aluminum sheeting.